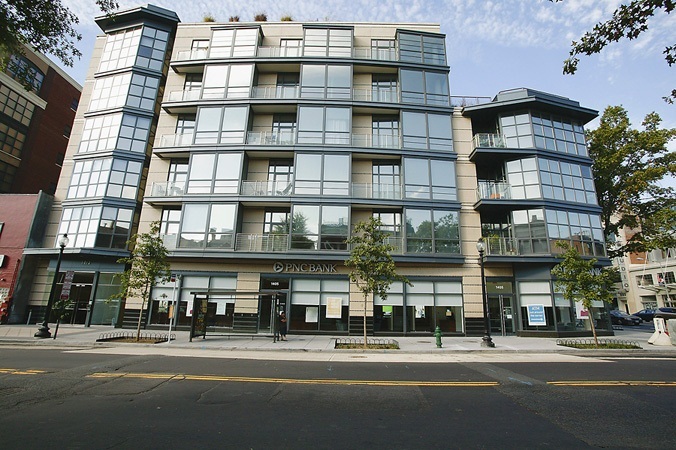 Logan Circle Shatters The Price Per Square Foot Barrier Crushing Georgetown and West End! A stunning sale was just reported at Logan Circle’s Cooper Lewis, a highly sought after 18-unit boutique building. The 2,000 square foot fourth floor penthouse was listed and sold in Private Placement for a whopping $2,000,000 setting a new high price for the area and a new $1,000 price per square foot milestone. This sale represents a new high price for any Logan Circle condo eclipsing Metropole and Q14‘s highest sales as well as nearby 22 West in West End and 3303 Water Street and The Ritz Carlton in Georgetown, traditionally DC’s most expensive modern buildings. This sale signifies a quickly upwardly mobile market in what is definitely one of the city’s hottest neighborhoods. The unit features 9′ ceilings with walls of glass overlooking P Street, 2 bedrooms plus a den, 2.5 baths, two small balconies and a large corner roof terrace. WOW all around!